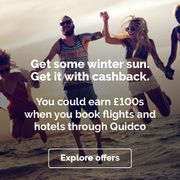 Quidco is the UK's largest cashback website. If you purchase things through their website you can earn a percentage back. Sometimes this is as much as 20%, however usually the average is about 3-8%. There are some great deals to be found. Find all the best Quidco deals and discounts here. £30 Cashback if You Switch Gas and Electric via Quidco>uSwitch. Get 11% Cashback on Aliexpress Purchases via Quidco! Lightning Bonus. 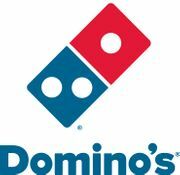 £2.50 Cashback on £2.50 Spend. Quidco is the UK’s leading cashback service with offices in Sheffield and London. The website was launched in 2005 and was founded by Paul and Jennifer Nikkel. The company takes the commission or what is known as cashback typically paid by retailers to third-party referrers and the savings are passed on to its members. The company has transformed the way people shop online, in-store and on mobile and to date have helped over 7 million people in the UK share of more than £400 million in cashback on their online purchases. There are two types of membership, Basic which is free and Premium for a fee of £5. Premium members have their first £5 cashback retained to qualify for enhanced levels of customer service and a range of offers from faster paying retailers. In addition, Quidco also provides their member with a wide selection of deals that they can be redeem when shopping on the highstreet. All their members have to do is to simply add their 16-digit card numbers from either their credit or debit cards to register, then shop as normal in order to receive their cashback rates on in-store purchases. The company has always championed innovation and were the first cashback service to offer members the opportunity to also earn cashback in store on the High Street and at the supermarket with ClickSnap, the most generous and varied grocery cashback tool on the market. Here at Latest Deals you will find only the best and the latest Quidco deals, sales, discounts, voucher codes and coupon codes posted each month by our massive community of bargain hunters! They have built a strong and steady relationship with more than 4,500 top online and High Street brands to help their members earn cashback every time they shop. Whether it’s spending on fashion, electricals, insurance, mobile tariffs, travel, utilities or day-to-day essentials, they always have a great deal for you. Their online catalogue includes the following categories. Clicksnap is designed to reward their members with great savings on everyday grocery shopping, whether you buy online or in-store. You can redeem cashback on supermarket purchases, specific to the offers they have on site and the ClickSnap app, by either sharing your online account details for the listed supermarkets or submitting an in-store receipt as a proof of purchase. They update their offers page every day so keep checking back for the latest savings. Tom's Tip: A good Quidco deal is to sync your debit card with your Quidco account so that you automatically earn cash back on participating retailers. When you shop through their online shop and complete a purchase, they receive a commission from the retailer in the form of cashback. Instead of keeping this commission, they pass it on to their members in the form of cashback. Members can then withdraw their cashback in a number of different ways. A retailer will offer either a fixed amount of cashback or a percentage of the purchase price and this will be clearly stated in the rates listed on the retailer's page. Once logged in to your account, when clicking through to a retailer page, a small file called a cookie is automatically saved on your browser. This will tell the retailer that your purchase was made on Quidco. This data also allows them to identify which retailer you made your purchase with. Cookies are essential for tracking your cashback, so make sure your browser is set up to accept them and that no security software or ad blocker is active on your computer. How do I contact Quidco? For questions or enquiries you can take a look at their FAQ page or you can find a specific answer to most queries on their Self Service help section. You may send them a message thru their Official Facebook Page. You may email them at members@quidco.com. You may call their Customer Service Team in Sheffield at 0843 504 7241. What are the delivery options for Quidco? How do I return an item to Quidco? How do I know when I have a payment ready? They will send you a notification email to let you know when your transaction has been confirmed, and it will be made available to you in your Payments Page straight away, ready for withdrawal. There's a number of different ways that you can withdraw your cashback, simply visit the Payments Page to see what's currently on offer. Bank transfer payments can take up to 4 working days to reach you. Why can't I withdraw my cashback? If you cannot withdraw your cashback, this could be for a number of reasons. Your payments have been blocked. If your account has been blocked, you will see an error message at the top of your payments page. You don't have above the minimum withdrawal amount. Your £5 Premium membership fee has been retained. There are several ways that you can find what you’re looking for on Quidco. If you know the type of product or retailer you’re looking for, enter this in the search bar at the top of the website.